Eezer Products, Inc. is known worldwide as a manufacturer of the highest quality U.S. manufactured grips and sanding products. Founded in 1964 by Jerry Sjostrand, the earliest Eezer products were the result of his many years of experience teaching, inventing and developing body and fender repair techniques and equipment. Several patents later, growth continued under the direction of Leighton Sjostrand. His diligence in product development and customer service contributed greatly to Eezer reputation as the leading source for the highest quality grips and sanding supplies proudly made in the U.S.A. The tradition of quality and excellence continues as the torch of progress has again been passed, this time to Christina Sjostrand, current owner and president. The same determination and drive continues to propel Eezer forward as the leader in the industries it serves. We look forward to serving your needs and hope you will feel free to call or email us with any comments, or questions regarding our products. 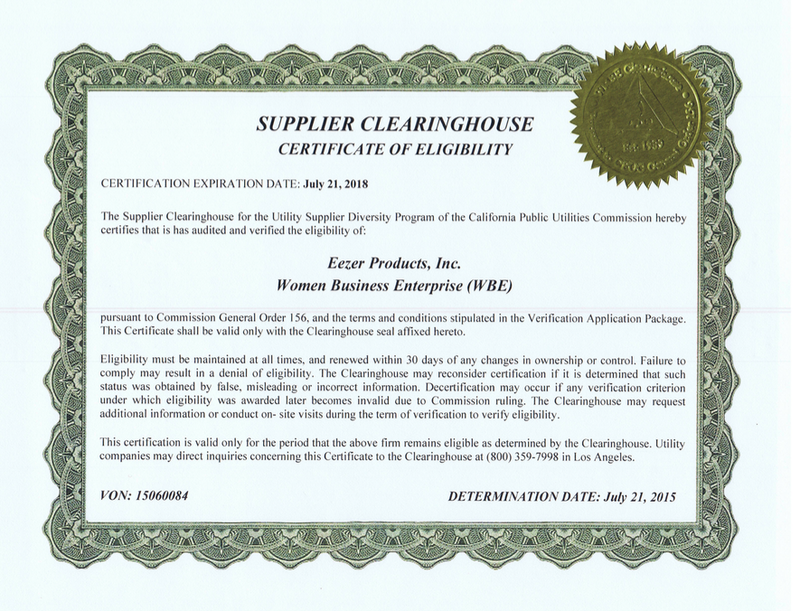 Eezer Products, Inc. guarantees these products to be free of defects in original workmanship and materials. If any defect develops, eezer foam and sanding products, Eezer will replace the product at no charge, provided the defect is not the result of mishandling or abuse on the part of the user and that the defective product is returned to the factory with transportation charges prepaid.